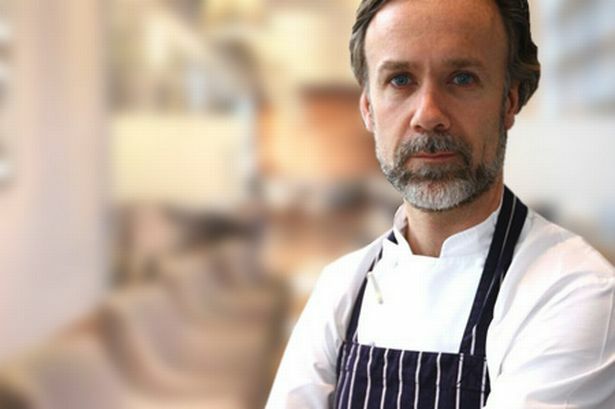 Marcus Wareing, one of Britain’s leading chefs, has criticised young cooks for chasing 15 minutes of fame on television shows like MasterChef. Wareing said he feared for the future of top end cooking because “clueless” new recruits were not prepared to put in the hours. In a stinging critique of trainees, he said young chefs baulked at the idea of hard work and were “oblivious” to the depths of the recession. Wareing, whose acclaimed restaurant at The Berkeley in London has two Michelin stars, spoke to the Birmingham Post at the launch of Aalto restaurant at the city’s new £24 million Hotel La Tour. The award-winning chef has devised Aalto’s menu and supervised the training of staff. However, he said his name was not attached to the restaurant – in the sort of franchising deal favoured by other prominent chefs – because he would not be cooking there and diners no longer bought into celebrity chefs in that way. Wareing also runs The Gilbert Scott at St Pancras, London but only cooks at Marcus Wareing at The Berkeley. The 41-year-old chef said his biggest gripe was with idle cooks just out of catering college. He said: “Young chefs who want to be at the top, but don’t want to put the work in. Young people come into your kitchen judging you rather than us judging them. “Do you know what? If it carries on the way it is there’s going to be no future. There’s no two ways about it, you put the graft in whether you like it or not. You don’t put the graft in, you don’t get to the top. End of story. Wareing said the BBC’s MasterChef, presented by Gregg Wallace and John Torode, was a “brilliant” show. But he added: “They can turf out as much as they like. The key to success is longevity, not a five-minute trip on television, five-minute wonder. “I have more cooks coming to me now wanting to know how many hours are they going to do, how many shifts is it, what are we going to get paid, how many holidays is it? “You know what, do me a favour, mate. I’ll do it myself. I’d rather do it myself than have some a***hole stand in my kitchen and think he’s better than me or bigger than me. “I’m 42 this year. I’ve 27 years’ experience. I don’t need to be told by some 19-year-old what I should and shouldn’t be doing. And they do. You’d be amazed. “Because in today’s world they can walk out of one job and into another and into another. “The industry needs to stop and close the door. We need to clamp down. There’s a recession on out there at the moment. It’s not easy. And young people haven’t got a clue. Wareing said he offered advice to his chefs and front-of-house team. “I try to wake them up to the reality of life and the world outside,” he said. “There’s one thing my old man taught me and it’s the best thing he taught me. It wasn’t education at college or university – it was commonsense. “Common sense and the value of a pound and how hard you have to work to earn it. I’ll never forget that.